Smurfit School Executive MBA is now ranked 68th in the world, up six places on 2017. FT reports average annual remuneration three years after graduation of UCD programme is €119,406. Strong international presence as 25% of students enrolled in EMBA are from overseas. The part-time executive MBA programme at University College Dublin Smurfit School has been ranked as one of the best in the world in the latest Financial Times rankings. The business course is now placed 68th in the world, up six places on last year. The new listing in the FT’s top 100 global executive MBA rankings marks the course as the 35th best in Europe. The paper reports salary increases of 53% in pre-course earnings amongst those graduates who completed the Smurfit School EMBA. The FT rankings report that the average annual remuneration three years after graduation is €119,406, up 8% on 2017. The UCD programme was found to have a strong international representation, with one in four students coming from outside Ireland alongside half of its faculty. The FT ranking evaluates programmes based on several criteria, including career progress and the quality of faculty, research and diversity. The EMBA course is one of several programmes at the UCD Smurfit Business School that placed highly in recent ranking tables. Last month the college’s full-time MSc in international management was ranked seventh in the world by the Financial Times, which also included two other UCD Smurfit School courses in its top 50 tables — the MSc in finance and the Smurfit executive development open enrolment programme. 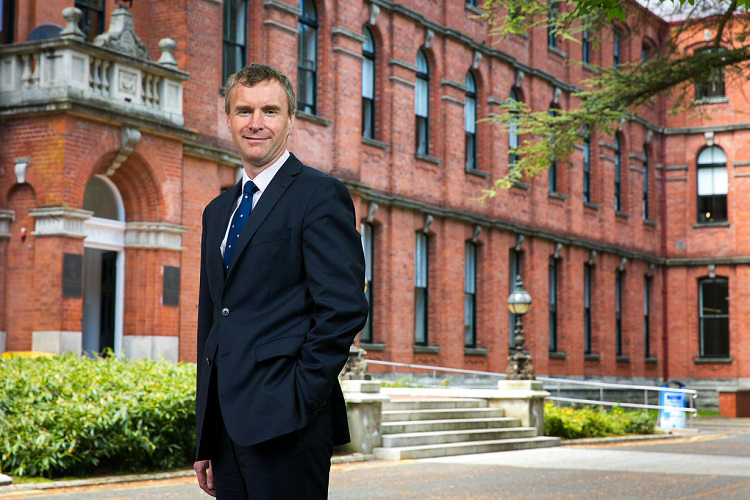 Professor Anthony Brabazon, Dean of the UCD College of Business, said Smurfit-ranked programmes had “shown a sustained and consistent upward trajectory in recent years reflective of the school’s ambition to be among the very best business schools in the world”.